I looked at various options but at the end a new manufacturers caught my eye : Novo. Novo make a number of different ballheads and tripods ( I can only guess they are made in China) in different sizes and configurations. 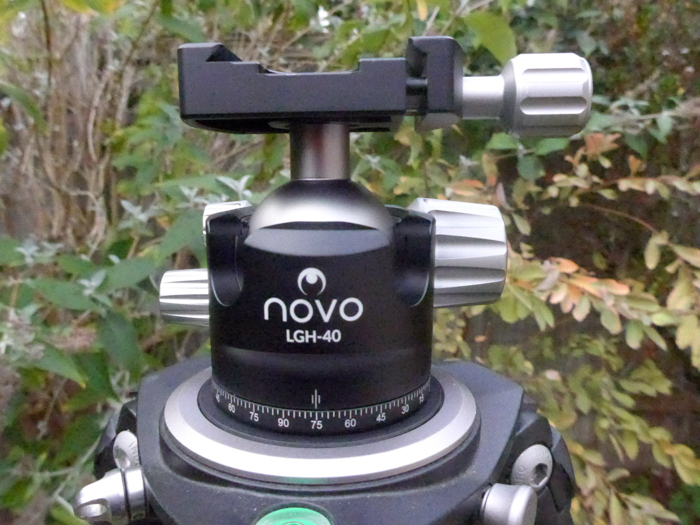 The model that I thought would be most suitable for me was the Novo LGH-40. A smallish ballhead, taking 8kg of kit and made out of aviation grade aluminium. It looked excellent and the price of around £115 wasn’t too bad either, so I decided to order one through UKDIGITAL. A day later the ballhead arrived. On closer inspection, the ballhead looks really smart in black with the silver knobs and has a decent weight 0f 500 grams. The ballhead comes with the usual components: a quick release clamp, spirit level, locking knob, tension control and a panning knob. The LGH-40 has a 3/8″ attachment which is standard and it should fit on any kind of tripod without any issues. The movement of the different parts is very smooth, maybe a bit too smooth as i was sometimes wondering whether the camera was secured properly. I put my Sony A7RIII with Laowa 15mm on the ballhead and i must say that i was very impressed. The ballhead is of the low gravity design as well, thus giving more stability when fitted on your tripod. I was able to move and fix the camera without any issues and the whole set up felt very secure (after i got used to the smooth “tightness” of the knobs) on my Induro Stealth tripod. i also tried my Nikon 500PF lens with the Nikon D850 on the LGH-40 but to be honest: the ballhead is (of course) better suited for smaller loads then a 500mm with a Nikon D850. 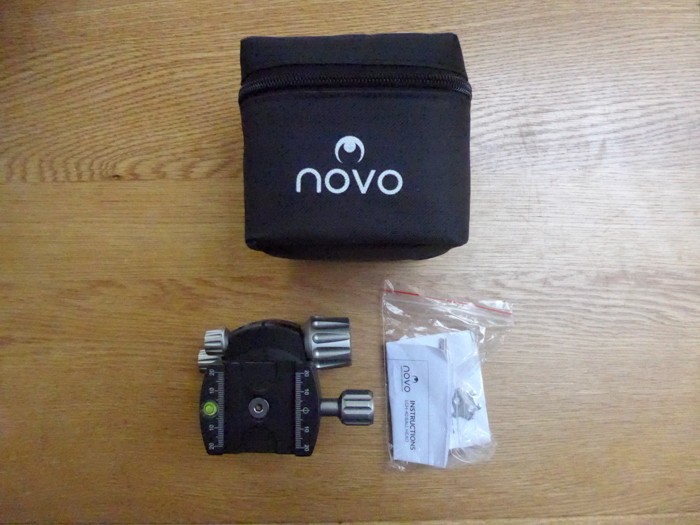 So all in all: if you are in the market for a small, not too expensive ballhead: have a look at Novo. i was pleasantly surprised and the LGH-40 has found a place in my camera bag. It comes with a small pouch, manual and a 5 year warranty for peace of mind.